With freedom comes the natural ability to determine one's own future and path by our own freedom of choice, better known as free will. We all can choose to go where we want to go, do what we want to do, say what we want to say, etc. This runs just opposite to a tyranny and dictatorship where the one in charge tells you what you are allowed to do, where you are allowed to go, and when you can do anything. Given a choice most of everyone would choose to live with freedom as opposed to tyranny. The exceptions would usually be the people that get to be in charge in a tyranny or dictatorship because they can usually do not have to live by the rules they impose on others and get anything and everything they want at a whim. 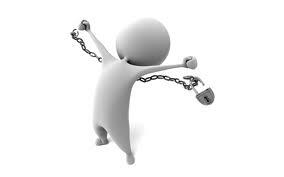 Interestingly many reject Christianity's God (Jehovah) because they claim he is a tyrant who takes away man's free will. Does God take away free will? The obvious obsurdity of this accusation becomes apparent by what would be required to prevent us from having free will. 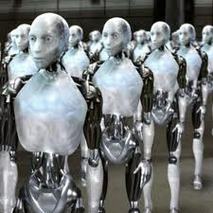 It amounts to ascerting that we all are robots doing only what God programs us to do. Because thats what a lack of free will truly amounts to. 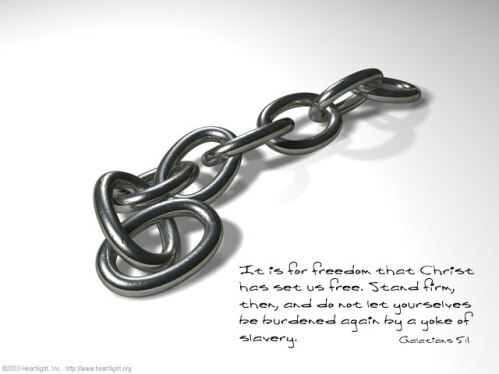 Our freedom is proven in a number of verses. Exodus 20:3 tell us to have no other God but Yahweh. This means it is possible to choose to serve other God other than Yahweh. Matthew 6:24 states we can submit to God or money. And Romans 6:16 says whom we submit to we are servants to. So the choice is ours if we want to serve God or not, have a relationship God or not. God gave us free will; He gave us choice. We were made in His image and God gave us free will in order for us to freely love Him and worship Him. Others hold that becoming Christian requires us to obey God's law namely the 10 commandments or Christ's 2 commandments of love. Again this argument doesn't hold water as God gives us the choice to be a Christian or not. The fact of the matter is God gives us great freedom even with choosing whether or not to follow Him, as his rules only serve to help us. Any of us would be hard pressed to enumerate how "Thou shalt not kill" or "Thou shalt not steal" actually isn't for our own good. In truth, people try to label God a tyrant because they don't want to live by His laws regardless of how good it is for them. It is the sinful human nature to want to rebel against authority. The simple fact that we can rebel against God's divine authority proves, beyond a shadow of a doubt, that we actually do have freedom and free will. Obviously God respects our choices and thereby our free will, which He gave us in the first place. Is there any choices God places before every human being? God calls everyone to choose Him over false gods, which are creations of our own imagination. He alone created the heavens and the earth. Only He is worthy of worship and adoration. How much sense does it make to worship and adore created objects and people, who can't respond to you much less hear your prayers? It makes even less sense to worship created objects like the sun, moon, stars, volcanoes, etc, instead of the one whom created all of them with but a command "Let there be light." But knowing that worship and adoration can't be forced otherwise it is not love, God will not force us to choose to love Him. He wants us to freely choose Him. How do we choose God? We simply choose God by believing in Jesus as God's Son. We are to believe in Him, that he died to pay the price for our sins (all the wrong we have done), rose again from the dead, and that ask Him into our life and heart to be our own Lord and Saviour. By believing in Jesus you are choosing to accept His free gift of salvation to you and also accept God's adoption of you as a child of God. It is all summed up in this prayer you can pray to God.